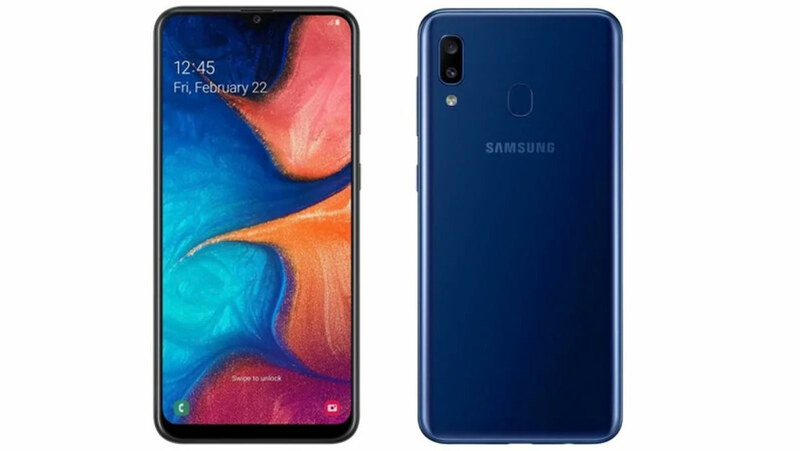 After launching the Galaxy A30 and A50, Samsung has gone on to unveil the new Galaxy A20 in Nepal — an alternative for people seeking cheaper phone than two of previous ones. Despite a low price tag, the Galaxy A20 admirably maintain the captivating factor of A-series phones — great design and display. The front is well suited with a 6.4-inch HD+ Super AMOLED display, which means you get richer and vibrant colours. The AMOLED display is complemented by a tiny notch, also known as the Infinity V display. The back is also nothing short of appealing, it has a “3D Glasstic” design — a combination of glass and plastic. This offers a shiny colour reflection when in the light. Inside, you get the Exynos 7884 chipset, 3GB of RAM and 32GB of onboard storage. The storage is expandable up to 512GB via microSD card. Once again, going to the back, the A20 host dual 13MP sensor with f/1.9 wide lens plus 5MP f/2.2 ultra-wide lens. For selfies, you get a single 8MP front camera with f/2.0 aperture cramped inside the small notch. The whole phone, thankfully, runs on Android 9.0 Pie out of the box with Samsung’s One UI on top. For juice, the phone is befitted with an impressive 4,000mAh battery inside. There’s also support for 15W fast charging. 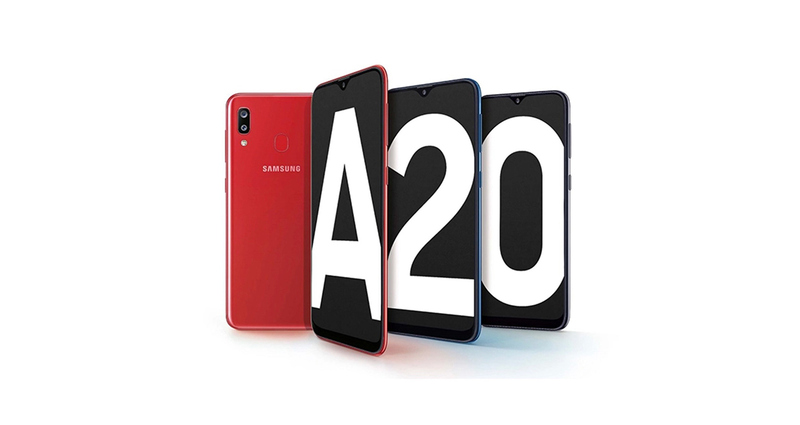 The Samsung Galaxy A20 is now available in Nepal for Rs. 20,490. Interested users can purchase the phone through retailers located across the nation.